This delicious and easy diet cottage cheese casserole is a gift for those who are dieting or simply watching their weight. This gentle low-calorie cottage cheese pie is an excellent replacement for the heavy cakes and pies. 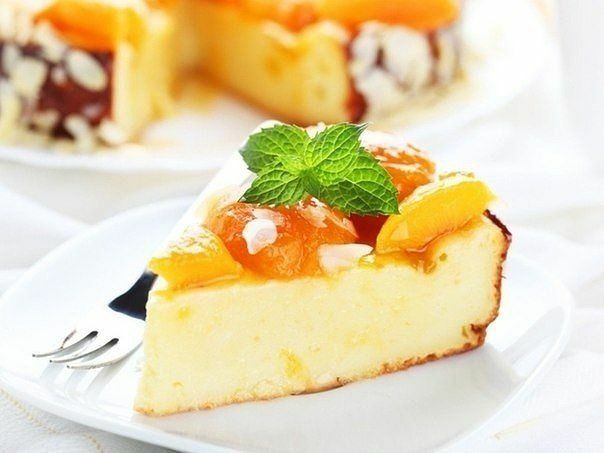 This is a great dessert, besides its preparation will not take you more than 10 minutes, plus cooking time. 1. Turn on the oven at 180 degrees. 2. Carefully blend low-fat cottage cheese with egg and baking soda until smooth with no lumps. 3. Add 2 tablespoons of semolina and berries, again mix well (frozen berries thawed not necessary). 4. On the bottom of the form for baking pour a little semolina to the casserole well they were removed. It is convenient to use a silicone form. 5. Spread the batter into the pan, level, top sprinkle the remains of the monkey. 6. Put in a preheated 180 degree oven on a medium level for 20-30 minutes (depends on oven). Low calorie cottage cheese pie with berries ready. Let cool slightly and serve.